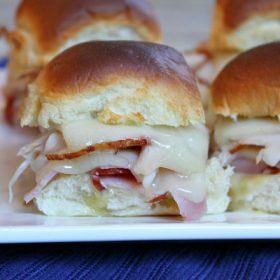 This recipe comes from a new cookbook called The Weeknight Dinner Cookbook by Mary Younkin (my Mom’s friend) and was originally titled “Chicken Cordon Bleu Sliders. It’s full of recipes that are really easy and quick to make for busy weeknight dinners. 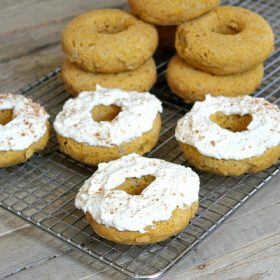 Here are a few recipes from the book that sound good to me: Maple Dijon Glazed Pork Tenderloin, Slow Cooker Rosemary Potato Soup with Ham, Chicken Parmesan Meatloaf, Roasted Garlic Smashed Potatoes, Ranch Dressing, Chocolate-Glazed Chocolate Chip Pound Cake, and Raspberry Almond Coffee Cake. Pile on the meats and cheeses! 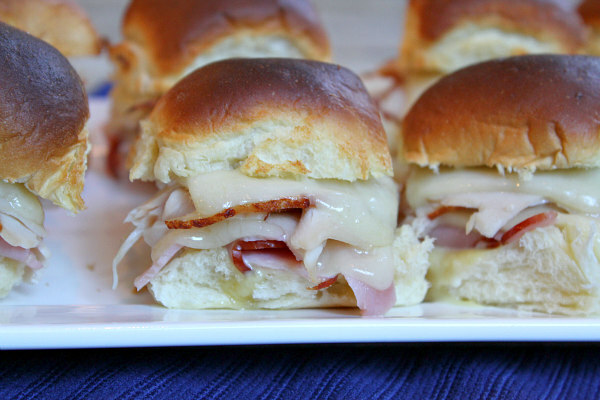 First up, ham and Havarti (you can use Swiss if you really want them to be Chicken Cordon Bleu style.) There is a spoonful of honey mustard sauce under all of that meat and cheese too! Bring on the chicken! 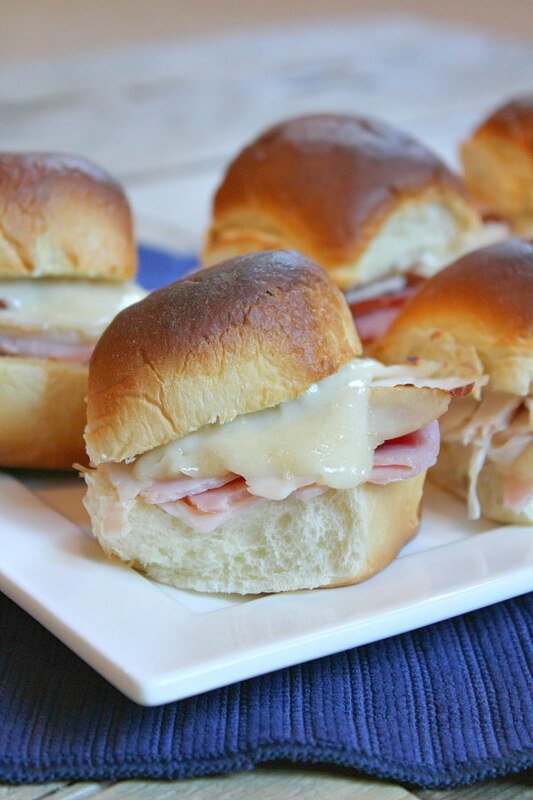 There’s just something we all love about ham, chicken, and cheese together- a fantastic combination. King’s Hawaiian Rolls are still the best on the planet. There’s no denying it. If anything, they’ve gotten BETTER over time! Preheat the oven to 400 degrees F. Slice the rolls in half and place cut-side-up on a baking tray. Make the sauce: In a medium bowl, whisk together the mayo, Dijon, honey, lemon juice and salt. Spread about 1 teaspoon of the sauce onto the bottom of each roll. 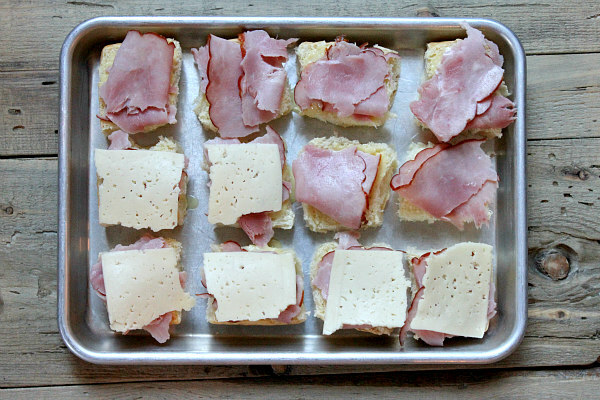 Place a slice of ham, folded over to fit, on each roll. 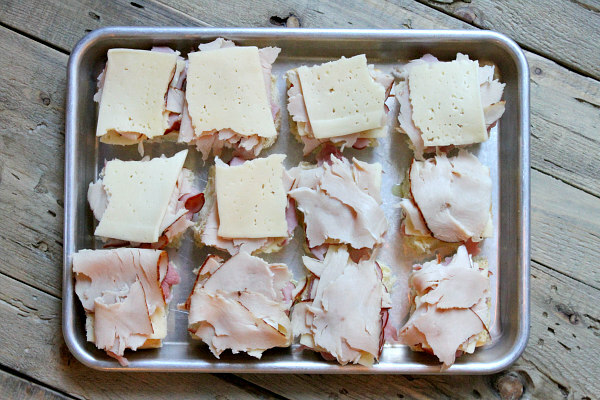 Tear the cheese into roll-sized pieces and place a slice of cheese over the ham. Next, layer a slice of chicken and another slice of cheese. Place the top roll over each slider. Bake 5 to 6 minutes, or until the cheese has melted (you may want to put a piece of foil over the top of the sliders if they are browning too much while heating. Remove the sliders from the oven and serve. Disclosure: There is an Amazon affiliate link in this post for the purchase of the mentioned cookbook. 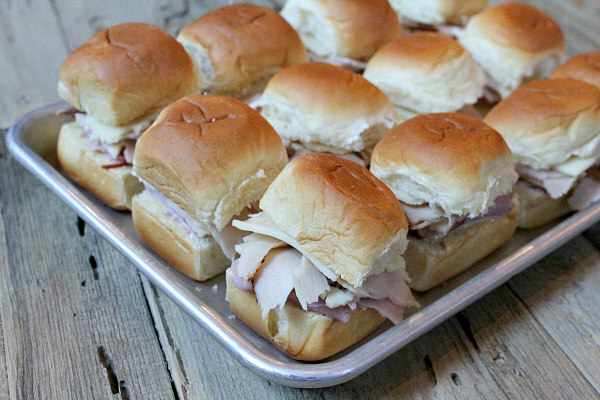 I’m thrilled you liked the sliders, Brooks! My oldest son is a Patriots fan as well, so I’ll be sure to show him your post. Thanks so much for sharing my cookbook! Just checking your site and I wanted to say these sliders look amazing. They are on my list for the Pats game tomorrow. Brady’s back, whoop, whoop! !